This guy is dressed and ready to go...to your awesome home! 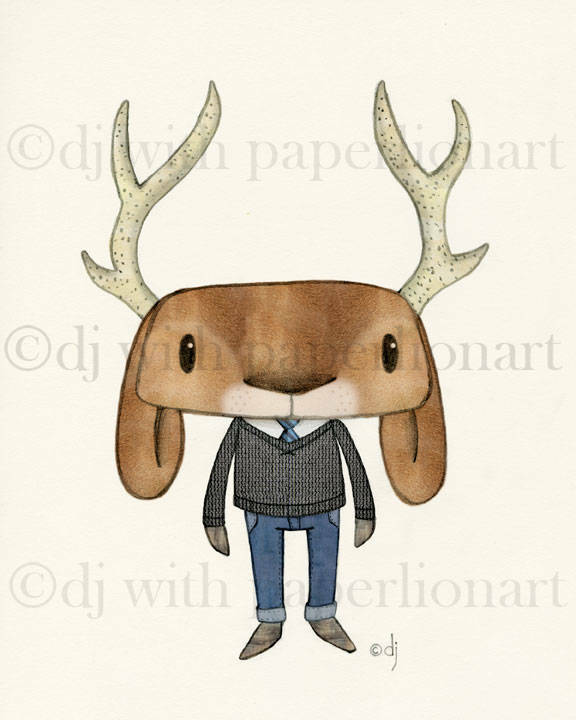 Is he a deer or jackalope? He doesn't care as long as you want him around, he'll be whatever you want :).